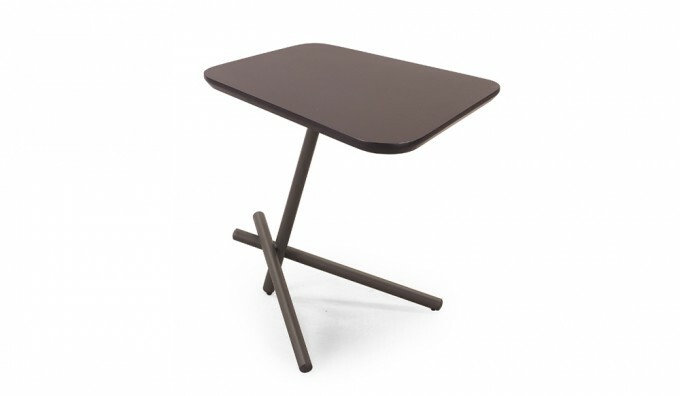 The Vox Side Table is a practical side table which overreaches the edge of a sofa perfcet for placement of drinks or other items. The legs partially slip under the bottom edge of any sofas.With matt black finish top and metal base with matt black finish. Feet: Black rilsan steel feet. Recessed back for better airflow and easy cable management, perfect for holding most modern equipment and gaming consoles neatly.